The American Silver Eagle coin, is not only the U.S. Mint’s most important, flagship coin program, it is also the king of modern U.S. coins, playing a role in the U.S. marketplace and in the numismatic hobby, ultimately over-shadowing many other series. The series has been issued in several formats, including silver and gold since 1986, platinum since 1997 and palladium since 2017. Each year in January, the U.S. Mint begins selling the bullion version of the most recently-dated Silver Eagle and Gold Eagle coins, as well as the proof versions of the Silver Eagle. This is always one of the most important numismatic events of the year, especially during years such as this one, 2019, when sales of both coins have rebounded considerably compared to lower sales during the previous year. How did this series and its various iterations become modern numismatic icons? 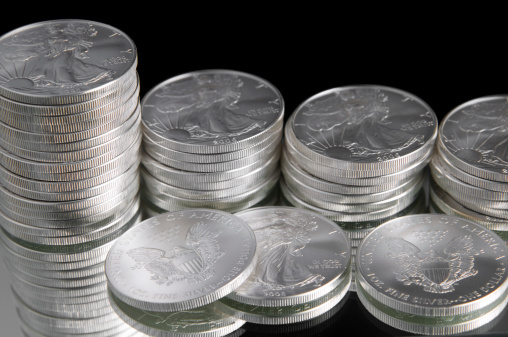 The Silver Eagle in particular is one of the most widely traded and collected silver coins in the world -- having sold around a half bullion coins by now, with the Gold Eagle playing a similar role in the U.S. market, while also being very popular with collectors overseas. To understand how all this happened one must go back to the 1980s when the Reagan administration began to look for a profitable way to dispose of some of the nation’s silver stockpile that had accumulated over many decades, and which successive administrations considered to be in excess of what was needed. 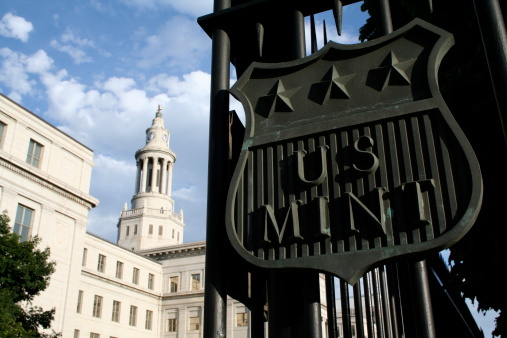 However, mining interests had opposed selling off the silver for many years, due to concerns that this would result in a collapse of spot prices. Once a way was devised to sell the silver profitably, they relented. In 1985 Senator James McClure introduced the American Liberty Coin Act that became law that same year, and which authorized the production of Silver Eagle coins in uncirculated and proof versions. The Bullion Uncirculated version was to be sold by the Mint to its distributors who sell the silver coins retail, while the proof coins would be sold directly by the Mint at a higher price. At the same time this was happening, Congress, the U.S. Treasury, and the White House were exploring how to sell some of the nation’s massive gold reserves to the public, especially since interest in buying gold increased in the 1970s. In 1967 the South African Krugerrand was launched, but until 1974 there were restrictions within the U.S. on owning gold. Once those were rescinded, the bullion market took off. In addition, at the time it was illegal to import gold Krugerrands into the U.S. because of the South African policy of racial segregation, leaving a gap in the gold bullion market. Rep. Ron Paul at the time worked on developing a U.S. Mint-gold bullion program, and Senator James J. Exon introduced the Gold Bullion Act of 1985, which became law in December 1985. This act authorized the production of American Gold Eagle coins in the four denominations that are familiar to buyers of these coins ($5, $10, $25 and $50). Over time these coins were also issued in other formats such as reverse proof and burnished uncirculated, and for the silver coins in enhanced uncirculated. The enormous popularity of these coins comes from a range of factors, including: the majestic design of each coin that pairs an iconic classic U.S. coin on its obverse with a modern eagle design on their reverses. The obverse of the Silver Eagle features Adolph Weinman’s design from the obverse of the Walking Liberty half dollar. Released from 1916-1947, the Walking Liberty half dollar portrays the striking image of Lady Liberty striding towards the dawn of a new day on the silver coin. The Gold Eagle makes use of Augustus St. Gaudens’ equally popular design from the obverse of his 1907-1933 Double Eagle gold coin. That design features another image of a confident Lady Liberty, with a torch in her right hand and oak leaves in her left hand. The reverse of the Silver Eagle features John Mercanti’s design of a heraldic eagle that is inspired by the Great Seal of the United States that became official in 1787. The Gold Eagle reverse depicts a male eagle as it descends on a nest and clutches an olive branch in its talons, while the female eagle guards over the hatchlings. Additional reasons for the coins’ popularity include that they are widely available; sold for a small premium over their melt content; their metal content and purity is guaranteed by the U.S. government; they are legal tender and can be included in precious metal IRA accounts; and the rise of third party grading has both fueled increasing interest in these coins and been itself largely driven by the coins since silver eagles in particular are the most-widely graded coins. 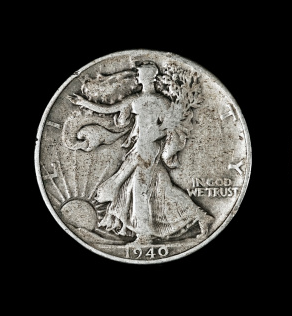 Finally, while the coins were initially intended more as bullion vehicles, with time even the bullion versions have also become widely-collected numismatic coins and have played a huge role in expanding interest in numismatics within the U.S. For all these reasons, silver eagles have been frequently called the modern-day equivalent of the Morgan dollar. *The 2006 20th Anniversary three-coin set, which included the first reverse proof and burnished uncirculated Silver Eagles. * The 2011 25th Anniversary five-coin set, which at the time included the first and only uncirculated Silver Eagles struck at the San Francisco Mint, mintage of the set was limited to 100,000. * The 2012 75th Anniversary of the San Francisco Mint two-coin set, which included the first reverse proof Silver Eagle struck at the San Francisco Mint. * The 2013 75th Anniversary of the West Point Mint two-coin set, which included the first enhanced uncirculated Silver Eagle that uses laser frosting to highlight different parts of the coin’s design. *The most undervalued coin in the series is widely considered to be the 2007-W burnished coin with a reverse from the 2008-W coin, a die variety that most collectors feel is needed for a complete set and which is the second-lowest mintage coin in the series at 46,318 coins struck. *The 2006-W $50 reverse proof issue with a mintage of 10,000 coins. *The 2006 three-coin 20th anniversary set that also includes the proof and burnished coins released that year. *The 1991 $25 bullion coins (the lowest mintage bullion gold eagle that sells for a strong premium, especially in MS70). * The 2012-W burnished uncirculated $50 gold coin with the lowest mintage of any gold eagle at 5,829 coins issued. Going forward, collectors and stackers can continue to expect the U.S. Mint to issue other, exciting and new versions and special sets, while continuing the existing production of high-quality and wildly popular American Silver and Gold eagles in bullion, burnished and proof formats.